Let's face it, it's almost impossible to find quality melodic heavy metal in the great tradition of the 70's and 80's today. Sure, you can find a "classic rock that really rocks" station in your area, but all that is is a trip down memory lane. There's nothing new there, nothing to suggest that there still might be life left in this venerable form of music. Velvet Revolver? Close but no cigar. The Darkness? Give me a break. Well, rejoice fans of classic and classy heavy metal, your savior is here at last. Let me introduce to you Mr. Jorn Lande of Sweden. If you follow the European metal scene, you may be familiar with Mr. Lande from his work with power metal group Masterplan or his former band, Ark. Chances are, though, "Out to Every Nation" will be your first encounter with Jorn. If you thought the bloodline that produced great singers like Halford, Coverdale and Dio was extinct, check out Jorn and think again. Few human beings have been blessed with the pipes and lungpower of Jorn. And I'm not just talking about being loud and having a strong voice. This guy knows what to do with his gift...his phrasing and sense of timing is impeccable. Do not expect Jorn to be a rehash of classic rock formulas. It's true, fans of great bands like Deep Purple, Rainbow and Whitesnake will find much to admire here. But Mr. Lande and his superb band of musicians are not content to recreate the past. They add the heaviness and aggressiveness that modern metal fans have come to expect and they also freshen up the old formulas with an injection of unpredictable and unorthodox songwriting. The songs on "Out to Every Nation" all rock like hell, but they have a kind of originality mixed in with the tried-and-true that makes it a very exciting listen. This may be the record to bridge the gap between the classic rock and modern metal audience. I know one thing for sure...Jorn is a talent for the ages and you are cheating yourself badly if you do not grab onto this amazing record! You want a catchy metal song to kick your sorry a@# to the moon? Look no further than this killer cut. Full of swagger and thrust, this shows off Jorn's great smoky vocals to good effect and flattens you with some crunchy power riffing. This isn't "rip your throat out and smash your skull" metal, but it has energy to burn. Check out the pounding drum assault from Stian Kristofferson - what a great opener! If you recall the great 80's band Badlands that featured the late Ray Gillen and Jake E. Lee, you will surely enjoy this song. A bit bluesier and slower paced, this features a tremendous soaring chorus. This review will be tedious with constant emphasis on Jorn's great vocals, but how the hell can you ignore them? You just don't hear this kind of voice in rock anymore. "I was born to be a storytellin' man/ I spread the word across the land." I love the sheer heaviness that kicks this track off. It's like Bad Company or Whitesnake but even better and amped to 11. Bluesy metal rock designed to get the toes tapping and the head shaking is what this is about. Jorn's taste for adventurous and unorthodox songwriting is much more noticeable here. Check out the classical strings that start this cut but which then turns into some "nervous" sounding heavy riffing. The song has a mysterious and somewhat cold feeling to it. Unpredictability is the key, as the track shifts gears often, but never loses its essential heaviness and catchiness. The chorus is one of the strongest on the whole record and Jorn is simply awesome on vocals. This is an outstanding example of how new ideas can be weaved into the fabric of classic heavy rock. This starts off as a laid back kind of semi-ballad but it veers off in a very surprising direction. Tasteful keyboards make an appearance but the cut then spouts a very cool and heavy mid-section with great guitar arpeggios from Jorn Viggo Lofstad (the other Jorn in the band) creating an almost cosmic feeling. Lofstad's guitar work here would give Yngwie Malmsteen pause. The song then returns to its original feeling, only with more drama. All this transpires in about four minutes...amazing! Don't be put off by the "wee-ooo, wee-ooo, wee-oo" chants on this one. It's the best song on an album of classics. It starts out totally rocking with major league guitar crunch and a superb entrancing chorus that again conjures up the best of bands like Bad Company and Whitesnake. But the tune only increases in intensity, building and building with some extremely heavy rhythms until reaching a mighty climax. The rantings of a demented preacher form the perfect accompaniment for the final march of killer riffings. This song is almost like an album in itself, containing more power and melody than a dozen similar hard rock bands I can think of. This melodic cut shows a bit more restraint with its piano and acoustic approach. 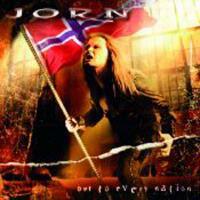 In many ways, it's a kind of corny 80's arena rock ballad, but Jorn's vocals again give it strength and appeal. Also, it's kind of a breather sandwiched between two of the album's more aggressive songs. Another hard charging rocker, this is lyrically similar to cuts like Foreigner's "Jukebox Hero" or Bad Company's "Shooting Star" in that it chronicles the rise of a young kid to rock star. Speaking of rock star, that's what comes to mind listening to Jorn's work here. Only a great voice can make cliched lyrics like this so affecting: "Michael has to rock/And be the leader of the flock/He'll be comin' near your block/And rock you all around the clock." This quirky track again shows Jorn's originality, with its unusual mixture of several themes. There's down-tuned syncopated crunch, some soaring melodies and a general feeling of groove. The number doesn't stay in one place too long, but doesn't sound disjointed at all. Lofstad again shows his quality with some fine soloing. Fading in with TV reports of atrocities, this begins with mysterious keyboards and a whispered voice chanting "I will believe". This is a very progressive sounding cut that is pretty ambitious. Layers of instrumentation gradually appear beneath Jorn's prayer-like vocal incantations. Layering is the best way to describe the approach here. The song becomes more guitar oriented and is a tremendous melodic metal track that has really grown on me and stands as an example of how Jorn has tried to broaden the parameters of classic heavy rock.